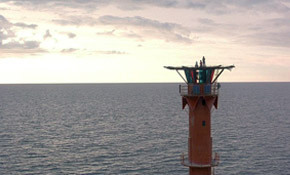 The video focuses on environmental crisis. 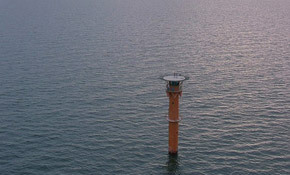 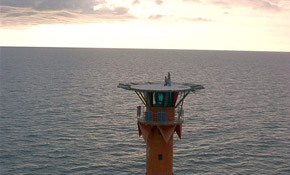 Camera moves around two persons standing on a tower located at an open sea landscape. 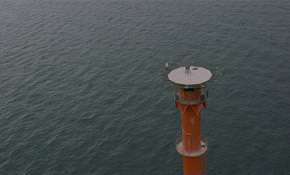 The work, its setup and the scene opens a critical question of our responsibility towards social and environmental issues.